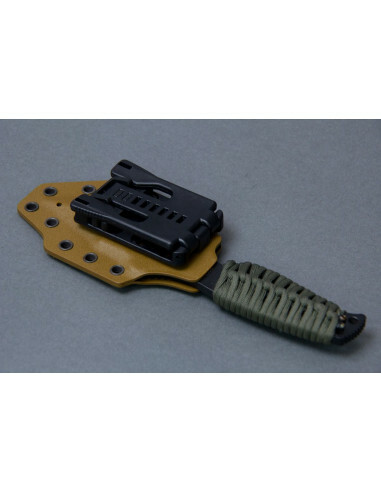 The default sheath for the KA-BAR MSM Knife 001 will make do, but some requested a high end kydex sheath so we made some happen thanks to TapRack Holsters. They come with the hardware to use with the supplied BladeTech Belt mount and can still use Malice Clips as well. NO KNIFE included on this version.